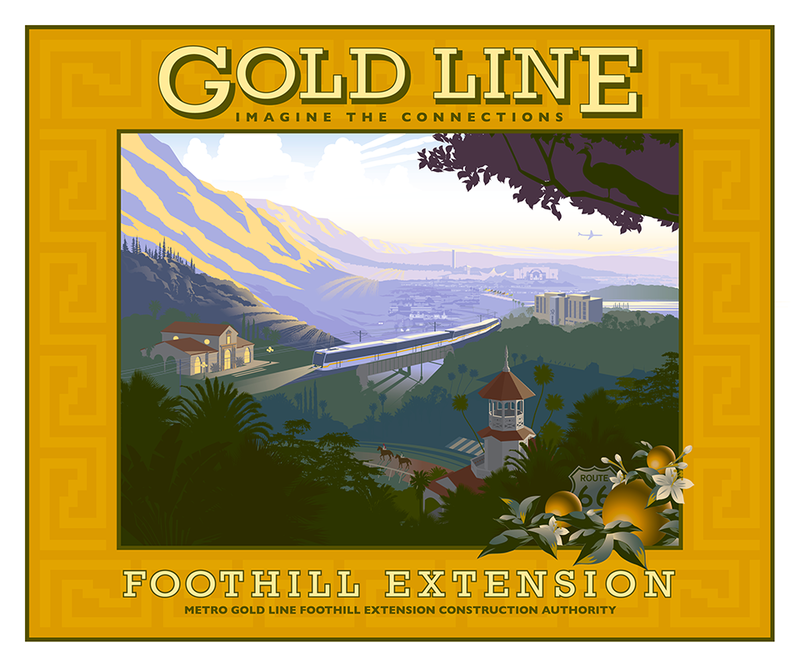 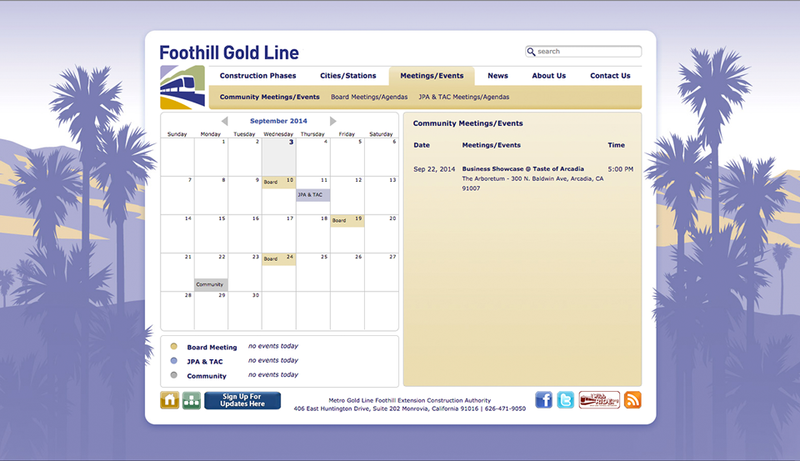 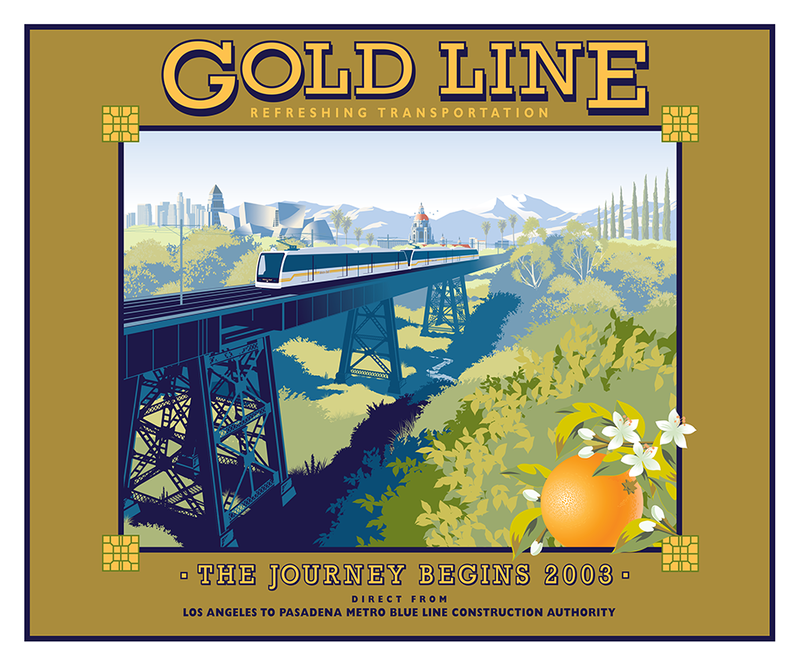 Since 2002, we have helped Foothill Gold Line enlist advocate within multiple city governments to build a light rail line first from LA to Pasadena, and now onto Azusa and beyond. 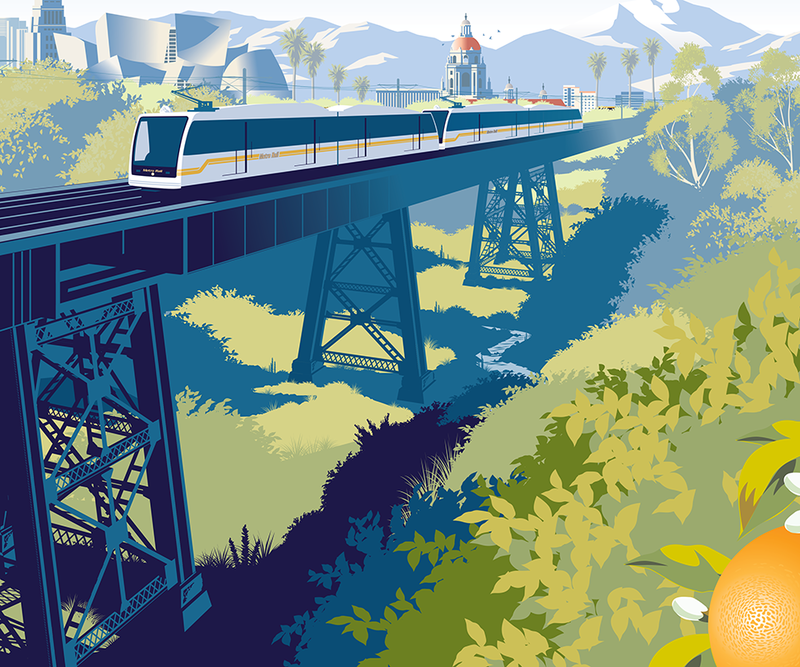 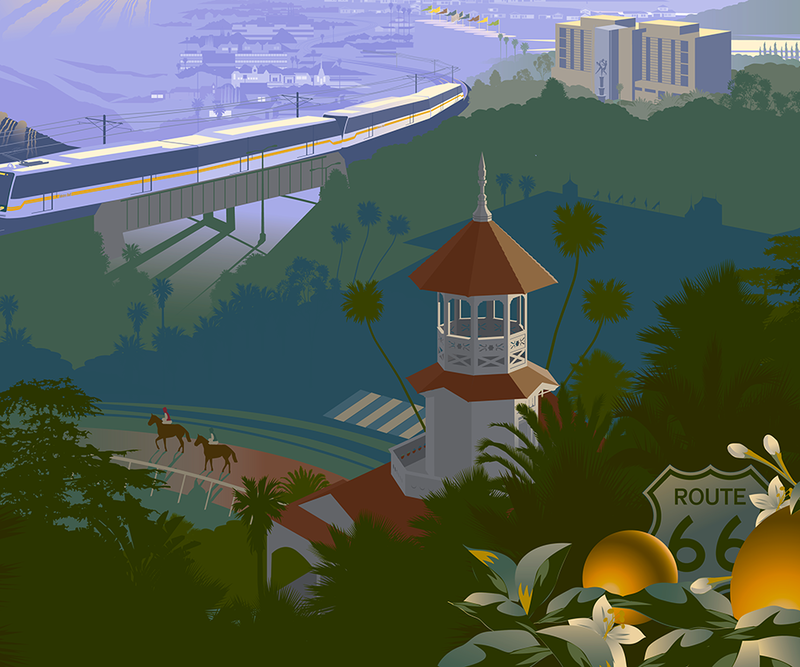 For a hero image, we chose the orange crate art style for which the San Gabriel Valley was famous. 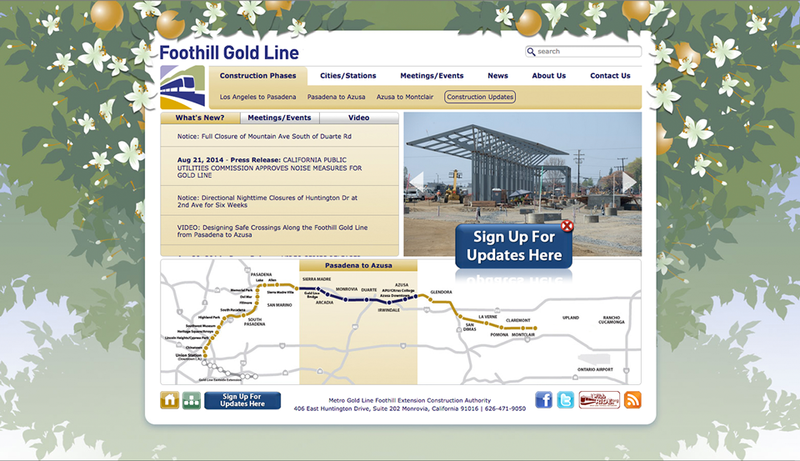 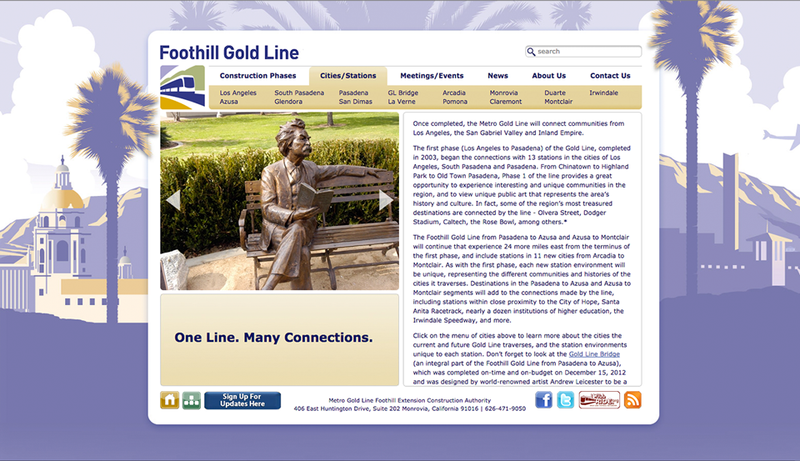 That website has become an information hub throughout the foothill corridor. 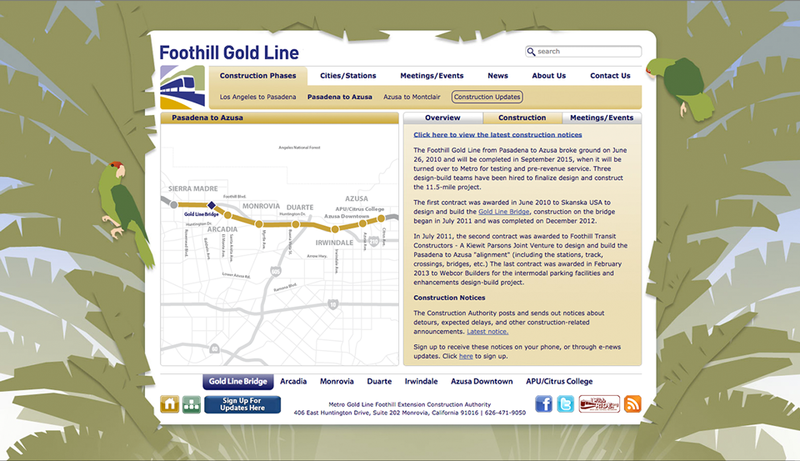 Now, when residents click on interactive map link in city pages they can easily see how the Gold Line connects to their neighborhoods to L.A. and all of Southern California.